Taking additive manufacturing to a new high, rapid prototyping services project completion easy for many by creating prototypes in the nick of time. Working on the principles used by additive manufacturing technologies, rapid prototyping services manage to create prototypes within limited budgets specified by customers. 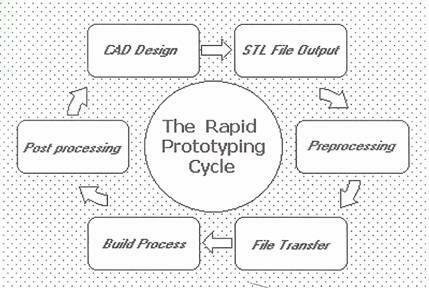 Before getting into the actual process of using rapid prototyping services, it is important to understand the customer’s need and what materials and systems should therefore be used in the prototyping. 1. One of the most accurate and practical methods of rapid prototyping services is Stereolithography also called SLA. Stereolithography really works well with limited budget concerns as since the cost of manufacturing is on the lower side and prototype making is a process of approvals and changes, the ultimate cost would still be lesser than might be with other methods of rapid prototyping services. The SLA system can help even tooling engineers to decide on the placement of parting lines or gate locations or even ejector pins. The SLA system uses a laser beam to solidify layers of material in a vat of liquid polymer or SL resin. It uses a computer aided design to guide it on where to solidify. Most often, SLA can produce models in a matter of a few hours depending on the size of the prototype. Advantage: the lower cost as well as time saving is the reasons why SLA works better than permanent hard tooling. It also produces some of the most clean and accurate forms and the machine itself require little and easy cleaning. Disadvantage: the finishing of the surface is slightly lacking in smoothness and a detailing. Also, the parts maybe cheaper by require 2 to 3 times the amount of time to actually build. 2. Another rapid prototyping services system is urethane castings. Urethane castings take the process to be slightly higher and detailed level. 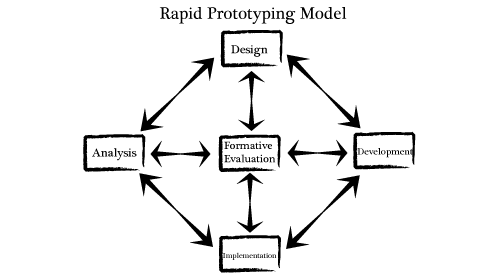 It produces a more durable model of rapid prototyping. This model actually simulates production material. This system uses liquid silicone to cover the part and submerge it in a pressure chamber to remove all air bubbles. This silicone mould is then cooled and solidified. The mould is then split by a mould technician or cut along the parting line and this is the master pattern that will be used even as a part of the SLA system. Advantage: This service has been known for its advantages. The fact that it has many advantages has also attracted a lot of attention towards this method and hence it is something that has been used widely today. The efficiency of this service also means that the method has also attracted a lot of attention as well. When several pieces of the same model or part need to be manufactured, urethane castings provide a better and more economical solution. It can also be matched with paint color and texture specifications by inserting mould over mould. Go to Rapid Prototyping Services company jasonmould’s website https://www.jasonmolding.com to get free information on this product.